Are you looking for best woocommerce themes? Then you are in the right place because we’re going to present you here only some of the best quality premium WordPress woocommerce themes. These themes can be used for Mobile Shop, Computer Store, Hightech Store, Gift Shop, Electronics shop, jewelry, fashion, boutiques, bookstores, technology stores and other types of web shops. Are you want to start an online shopping mall, where you can sell your products & receive payments via bank wire, credit cards or paypal? If yes then don’t worry here we will give you some tips about how you can create a professional & powerful ecommerce website by using WordPress WooCommerce theme. At this time a website creation is not so difficult job. Anyone can create an ecommerce website by spending $50-$100 dollars. No need to hire a web development company & a particular developer to manage your website which will cost you too much. The best solution for creating ecommerce online store is WordPress. Why you will use WordPress? Because WordPress gives us a very handy interface to manage any kind of websites. It’s not must to know about programming knowledge to manage a WordPress site. You can handle a WordPress site yourself without taking any help from developers. For ecommerce solution WordPress has an advance & powerful ecommerce plugin which is woocommerce. There are thousands of woocommerce themes available. Some are woocommerce free themes & some are premium. It’s hard to find a perfect one by search one by one. So we did it for you. We have collected only best woocommerce themes which can be your best choice for your online store. We have taken a whole day to find out these ecommerce themes for you. This collection will definitely help you to choice a best theme for your next project. An ecommerce website must have to implement some important features. Without those features an ecommerce website can’t be created. In this collection all of the woocommerce themes have all of those features that you must need while developing an online shopping store for you. Some key features we must mention for your information. This will help you if you don’t have much knowledge about ecommerce functionalities. These themes have Responsive & retina ready display which means your website will look optimized in any kind of devices. Not only that, also have advance admin panel, visual composer, lots of powerful premium plugins, revolution slider, layer slider, product quick view, product thumbnail slider, touch enabled product carousel, multiple style homepage layouts, multiple style blog layouts, portfolio layouts, multiple header/footer layouts, tons of useful shortcodes, custom widgets, compare products, advance ajax search functionalities, advance product filtering, grid/list products view, beautiful css3 effects, parallax effects & much much more. All of those features above will be found in the premium woocommerce themes. Woocommerce free themes don’t have all those features but those are quite nice to start with. 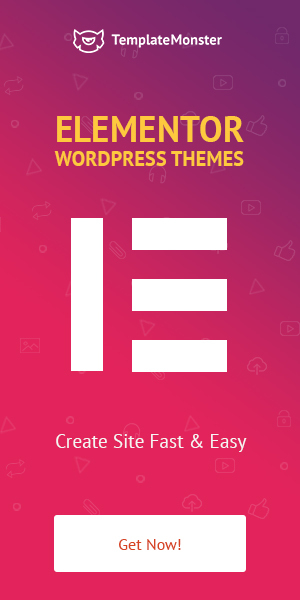 We recommend you, if you have some budget then grab a premium theme. It will not cost you too much. By spending from $50-$100 you can purchase an awesome ecommerce theme which will meets with your all requirements, you can sure about that. It will be valuable for you more than the money you spend on it. Hope this collection will help you to find out a best one. If you think this can be useful for others also then don’t forget to share it on social media. Thank You! Jakiro is truly a sleek and powerful fashion shop WordPress Theme that provides all the tools you need to launch a successful online store. It comes with cool theme features that will help you give your customers an awesome online shopping experience. The Jakiro design owns a unique visual attractiveness and it is absolutely ideal for fashion, watches, jewelry and so many more. This modest fashion theme is awash with customization options that allow you to edit the look and feel of your theme to match your brand or represent your agency/company. But that’s just the beginning. As Jakiro is also fully integrated with the renowned WooCommerce – the largest eCommerce platform, that means monitoring your online shop products would never be easier. Not to mention such awesome features and extensions Jakiro is packed with like Widget Filter for WooCommerce Variation Swatches and Photos, Revolution Slider, Visual Composer, … For what it’s worth, take a look yourself at the Live Demo of Lunartheme below to understand how Jakiro is the best solution for your online business! Aqua is perfectly suitable for beauty, spa, salon businesses. It’s a WordPress WooCommerce theme which is created especially for those purposes. Not only that, it’s also can be used for Barber Shops, Parlors, Meditation / Yoga, Wellness / Fitness centers & other health related businesses. Aqua has lots of fantastic & powerful features. Some features I will must mention here, like it’s integrated some advance premium plugins which are Visual Composer ($33), Revolution Slider ($18), Currency Switcher ($17) etc. These plugins will helps you to make your website more flexible & user-friendly. No need to have coding knowledge while building your website with Aqua. The drag & drop interface will allow you to create your pages on-fly. Multiple color scheme, pre-made page templates, beauty spa related web elements & other features gives you to present your business over online more attractively. Key Features: Responsive layouts, HTML5/CSS3, Premium plugins, Reservation/Booking system, Google fonts, Currency Switcher, Revolution Slider, Visual Composer, 5 Different unique & minimalist home page templates, blog section/layouts, Boxed/Fullwidth, WooCommerce plugin, Unlimited color schemes & much more. Rosette is fantastic woocommerce WordPress theme. You can easily create a online shopping store by using Rosette. It has all of those ecommerce features that you need. This theme comes with 3 different homepage styles, live search functionality, responsive design, powerful admin panel from where you can change your theme settings, product quickview with carousel & lots more. Aloxo can be perfect choice for your ecommerce website. It integrated latest web technologies which can easily track your customer’s attention. This theme is very user friendly. The developer builds this theme woocommerce functionality & ecommerce experience in mind. You will not only able to sell your products also you can write blog posts. It has multiple style beautiful blog layouts where you can write about your products or something else you want to share with your customers. Key Features: 4 different homepage layouts, responsive & retina ready design, advance product search functionality, $62 worth premium plugins (page builder, revolution slider, sales countdown), 12 different blog layouts, smart navigation, live customizer & much more. Butiko will give you all those ecommerce functionality & features which through you will be able to create a powerful ecommerce website. This is a modern & excellent woocommerce WordPress theme which comes with some fantastic & amazing features. You can display your products in some nice way with the 8 different homepage layouts. You also showcase your featured or special products in unique vertical slider on home page. Butiko will give you the drag & drop functionality powered by visual composer with tons of useful components. It means you can create your own style layouts on fly. Key Features: Responsive design, Visual composer, powerful admin panel, vertical slider, revolution slider, 650+ google fonts, demo xml content, child theme, seo ready, lifetime updates & lots more. If you are looking for best woocommerce themes then 123Garden can be your perfect choice. Because it’s comes with $137 worth advance & very useful woocommerce plugins which made this theme more powerful. You will be able to create unlimited style page layouts by using page builder. This woocommerce theme builds with twitter bootstrap. Key Features: Catalog mode, drag & drop page builder, revolution slider, responsive & retina ready design, addon for page builder, WPML supported, contact form 7, powerful admin panel & lots more. MixStore is a clean & fully powerful WordPress woocommerce theme which can be your right choice. It has beautiful & attractive look which can easily catch your visitor’s eye. This theme was design in modern technology in mind. This is important especially for ecommerce websites. MixStore comes with 2 fantastic premium plugins, one is revolution slider which through you will be able to showcase your featured products & second is visual composer which through you can create page layouts on fly. It has pre-build 5 different homepage variations & responsive design for displaying your website fully optimize in any kind of devices like desktop, laptop, iPhone, iPad, Android phones etc. Key Features: 5 different homepage layouts, revolution slider, visual composer, multiple style product page layouts, multiple style blog page layouts, 5 different color schemes, vertical menu, seo optimize, 5 different header style, quickview product with thumbnail slider, WPML supported, live theme customizer, video tutorial etc. StoReSmart is the best WooCommerce theme ever. It has $40 worth premium plugins integration which are most popular like revolution slider where you can display your especial products or discounts, frontend builder which through you can build your pages from frontend. StoReSmart has retina ready display & responsive design which will optimize your website for any devices. Not only that, this theme packed with pre-made page layouts where you can showcase your products beautifully. You can customize your header for uniquely present your website. StoReSmart has mega menu support. Key Features: $40 worth plugins, frontend builder, revolution slider, store locator, currency converter, product quickview, WPML supported, customizable header, pre-made page templates, advance theme option panel, responsive design, touch friendly, retina ready display & much more. ShopFast is a woocommerce theme which is especially created for ecommerce online store. You can showcase your products beautifully in isotope filtering gallery on the homepage. It has clean & modern design, comes with revolution slider where can be display featured products or discounts etc. Key Features: Premium slider revolution, advance admin panel, responsive design, isotope filtering gallery, mega menu, font-awesome, contact form, thumbnail product slider & lots more. Maven is a modern & flexible woocommerce theme which is suitable for any kind of online shopping store. It has 4 different skin layouts which through you will be able to showcase your products beautifully. It has also premium revolution slider & visual composer integration. You can create your own style layouts by using page builder. Unlimited color variations & parallax effects made this theme more unique. Key Features: page builder, revolution slider, cross browser compatible, google fonts, responsive & retina ready, unlimited color schemes, unlimited sidebars, useful tons of shortcodes, portfolio layouts etc. Nielsen comes with advance woocommerce features. This is a multi concept wordpress woocommerce theme. It can be used for not only ecommerce store also corporate & portfolio websites. It packed with some fantastic premium plugins which made this theme more powerful. It has 12 different layouts. You can present your products uniquely by using one of them. Key Features: user oriented design, wishlist, compare products, quickview, review, advertise popup, seo ready, revolution slider, visual composer, essential gird plugin, mobile friendly design & much more. This theme especially created for online jewellery stores. It can be used for also any kind of online shopping mall. You can create a clean, modern & flexible online store by using jewellery woocommerce theme. Key Features: responsive design, multiple homepage layouts, unlimited color schemes, powerful admin panel, multiple portfolio layouts, multiple gallery layouts, google fonts & much more. FlowMaster was build for especially electronics online shopping websites. It comes with advance admin panel where you can change theme colors, sidebars, page layouts, fonts & other useful theme settings. Bromic is a best woocommerce themes which have all necessary ecommerce features you will ever need. This theme is packed with premium revolution slider & visual composer which means you can display your featured products or offers beautifully & can create your own layouts by using drag & drop page builder. Key Features: responsive & retina ready display, highly customizable, visual composer, fullscreen slider, smooth scroll, blog layouts, unlimited color variations, custom widgets & lots more. CoonCook is a clean & modern woocommerce theme for online shopping stores. It’s a bootstrap based 12 column & 1170 GS ecommerce theme. HomeShop is a advance WordPress woocommerce theme which is perfectly suitable for any kind of online stores. It packed with $210 worth premium plugins. This theme has huge pre-made page templates which through you will be able to present your product amazingly. It has modern & beautiful design which can easily tract your customers attention. It has 3 different sliders which are revolution ($18), flex, Isoslider ($15). You will be able to display your featured products or promotions beautifully using those sliders. It’s advance theme option panel will let you change theme colors, sidebars, layouts, fonts, logo, favicon & other useful theme settings. Key Features: Visual page builder, revolution slider, flex slider, iosslider, google rich snippets, multiple homepage layouts, 6 different header & footer styles, simple dropdown & mega menu, 12 different product gird design, touch enable carousel & sliders, cloud zoom/lightbox/product quick view/next-previous products, 15 custom widgets, promo popup & cookie control plugin & much much more. Key Features: responsive design, unlimited shops, shop withdrawals, profile favorite, social login, advance theme admin panel, contact form, useful shortcodes, email notification & lots more. Shopkeeper is amazingly designed especially ecommerce in mind while developing. It comes with tons of advance ecommerce features & multiple style shop layouts. You will be smartly present your products by using Shopkeeper. This theme packed with $42 worth premium plugins which made this theme more powerful. This can be best woocommerce themes ever. Key Features: Responsive design, revolution slider, unlimited color, page builder, xml demo content, 10 header variations, 20+ different style portfolio pages, 10+ different blog page styles, parallax section, mega menu with font-awesome, post formats, drag & drop unlimited homepage layouts, filterable portfolio etc. Propershop is a excellent multipurpose & woocommerce wordpress theme which is fantastically suitable for business, corporate, portfolio, creative, marketing & any type of online shopping stores. It has 5 different type of sliders including premium layer & revolution slider which through you can present your products or offers beautifully. Propershop has integrated $110 worth premium plugins which made this theme more advance. You can set custom header from 7 different header styles & also can set menu as well with 7 menu styles. Key Features: $110 worth premium plugins, layer sldier, revolution slider, advance ajax search, 7 different header & menu styles, chat x plugin, social login, popup adds, notification bar, onepage navigation, wide/box layout styles & much more. This is a clean & minimalist woocommerce theme which can give a smooth shopping experience to your customers. It can be used for fashion store, jewelries, cloths or any other online shopping stores. It has multiple store layouts which through you can showcase your products fantastically. Aurum build with responsive & retina ready technology. It means your store will be optimized when visiting from different devices like iPhone, iPad, Tablet, Android phones etc. You will be able to create your own style layouts by using drag & drop page builder. Touch enable carousel slider will let you showcase your products nicely which is packed with this theme. 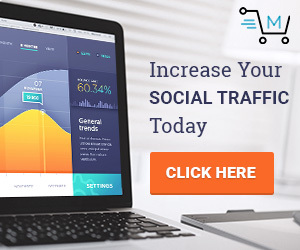 Key Features: Page builder, touch enable carousel sliders, $58 premium plugins included, seo ready, mega menu, transparent header, multi-language supported & lots more. Key Features: Multiple homapge layouts, retina ready & fully responsive design, build-in mega menu, premium revolution slider, visual composer, advance admin panel, portfolio layouts, testimonials, 20+ custom widgets, unlimited color variations, multilingual, custom layouts & much more. Nik is a best woocommerce theme which has tons of advance features related to ecommerce requirements. This ecommerce theme will let you create a powerful ecommerce website for selling your products directly from your website. It has all of those features that a ecommerce store needs. Key Features: Unlimited color variations, 3 header styles, responsive layouts, build-in mega menu, box/wide layouts, premium revolution slider, google fonts, 14 custom widgets, grid & list product view, social buttons integrated, tons of useful shortcodes, new/sale label, product quick view, brand slider, contact form 7, multi-language supported & much more. Marvel comes with multiple style homepage layouts which mean you can showcase your products beautifully with multiple ways. It has modern & smart looking which will easily track your visitor’s attention. By using drag & drop page builder you will be able to create your own layouts & the premium revolution slider will let you showcase your products/offers/discounts such some amazing ways. Key Features: visual page builder, revolution slider, responsive design, multiple homepage variations, mega menu support, product quick view, multiple header styles, 5 different blog layouts & lots more. Key Features: responsive design, visual composer, slider revolution, multilingual, sticky menu, unlimited colors, tons of shortcodes & much more. Create our amazing online shopping mall with Present woocommerce theme. By using this theme you can build a powerful ecommerce website where you can sell anything from your website. Multiple homepage layouts give you to showcase your products fantastically which is comes with this theme. You can set a unique header from multiple style header styles. Not only that, it has 2 different skins, one is chrismas skin & second is Halloween skin. This theme allows you to create beautiful & stylish menu with its build-in mega menu. Live theme customizer gives you the ability to change your theme settings like colors, fonts, links etc. Key Features: visual page builder, revolution slider, blog layouts, live customizer, advance admin panel, contact form 7, product quick view, deal module, mega menu, multiple style header style, multiple homepage variations etc. Key Features: unlimited colors, responsive layouts, mega menu, box/wide layouts, premium slider revolution, shortcodes, sales/new label, quick view, contact form 7, WPML compatible, multiple blog layouts, 14 custom widgets, bootstrap based, browser compatible & much more. Key Features: page builder, off-canvas cart, off-canvas navigation, revolution slider, post formats, review system etc. Key Features: retina ready & responsive layouts, 200+ icons included, sidebar manager, multiple-language, google fonts, shopping carts, easy to use shortcodes etc. Key Features: multiple homepage, multiple store layouts, build-in mega menu, revolution slider, visual composer, powerful admin panel, portfolio integration, compare & wishlist, bbpress support, 20+ custom widgets, advance header options, font-awesome, unlimited colors, custom layouts & much more. AZ is a powerful ecommerce wordpress theme which comes with tons of ecommerce features that are must needed while creating a online store. Key Features: mega menu, zoom on product, product quick view, catalog mood, multiple layouts, multilingual, landing page, 40+ useful shortcodes, visual composer, revolution slider & other premium plugins, parallax effects & animations, blog layouts, post formats etc. Key Features: homepage layouts, portfolios, faq, testimonials, responsive design, seo friendly, premium slider revolution, google fonts, WPML supported, multiple portfolio layouts etc. Key Features: 9 different layouts, responsive & retina ready design, visual page builder, premium revolution slider, building mega menu, font-awesome, masonry shop, portfolio pages, blog pages, flex slider etc. Key Features: 16 multi-concept demos, 3 layout styles, multiple header styles, advance ajax search with product price & image, WPML supported, bbpress & buddy press supported, 300+ shortcodes, visual composer, sticky header & much more. Eda is a fantastically design woocommerce theme which is especially created for ecommerce websites. Key Features: multiple style homepage variations, box/wide layouts, fully responsive & retina ready, unlimited colors, drag & drop page builder, revolution slider, icons & google fonts, WPML compatible, parallax section, advance admin panel, unlimited color option etc. Key Features: collection slider, 24 header styles, notification bar, 7 custom widgets, menu icons, page builder, 6 pre-defined page layouts, 7 post formats, audio/video playlist, unlimited colors, google fonts, responsive design, slide-out menu, footer layouts, seo ready, advance theme option etc. MediaCenter was fantastically designed for WordPress ecommerce websites especially for electronics store. It has very clean & modern design which through anyone can create a powerful ecommerce website easily. 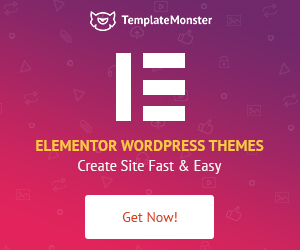 Key Features: $56 worth premium plugins included, revolution slider, visual composer, free installation by developer, mobile friendly design, highly customizable from theme option panel, 2 header styles, unlimited color options, multilingual, 600+ google fonts, wishlist, product comparison, filter by brands, product lebels, 2 different menu style & much more. Key Features: advance premium plugins integrated (visual composer $28, slider revolution $18, table rate shipping $21, pdf invoice $25, dynamic pricing & discounts $25, Product filter $14), multi-currency, multilingual, fully responsive, advance theme option. Key Features: 50+ custom shortcodes, bootstrap based theme, contact form 7 integrated, unique css3 animations, isotope gallery, box/wide layouts, multiple post types, 600+ google fonts, custom widgets & much more.